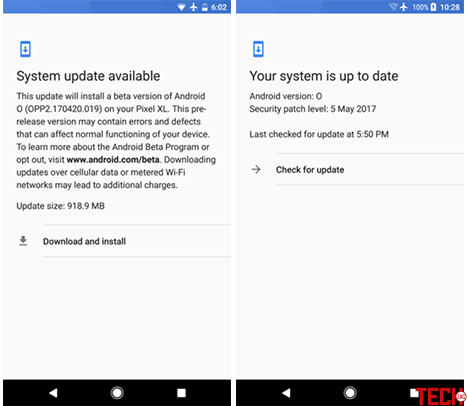 Download and Install Android O Public Beta: The Android O Developer Preview was made available for Developers on 21 March 2017, but not recommended for public use. But, now Google has released Android O Public Beta for all users. Eligible users can now download and install the Android 8.0 on their respected devices without any extra effort. 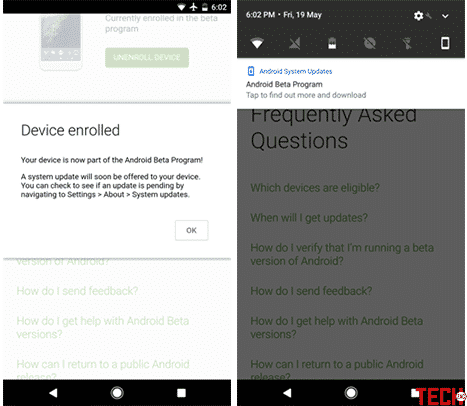 Before the release, a developer needs to use the SDK tool, the firmware files and a little knowledge of ADB commands to install these preview updates.But, in the public beta, Google has made the procedure simple. The Beta Program provides you a possibility to try out the pre-release versions of Android 8.0 and give responses. Devices that you opt into the program will get an OTA update to the latest beta version of Android O. This process is similar to the regular OTA update that you get on your device. 1 Which Devices Support Android O Public Beta Program? 1.1 What’s new in Android O? 1.2 Should I install Android O? Which Devices Support Android O Public Beta Program? Android O brings many changes to the existing features as well as some new features. 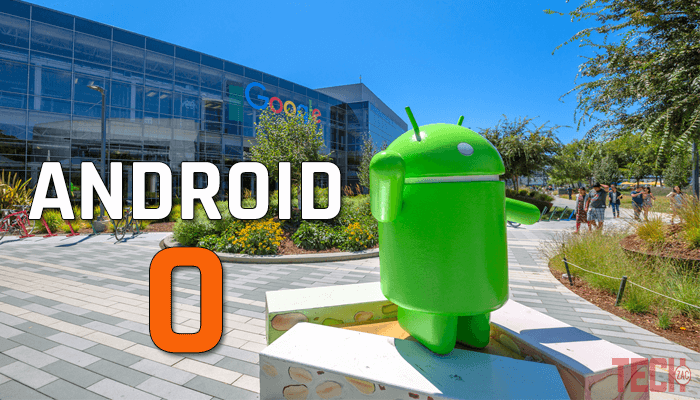 Let’s know what is new in Android 8.0. Multitasking on Android has improved over the years. For the first time, Google introduced split-screen multitasking feature with Android Nougat. But, now you’ll see picture-in-picture mode on the Android O. Apps like YouTube, NetFlix can be used this feature to play videos in a free environment on your screen. Just press the home button while watching a YouTube video to activate the floating screen video. You can resize, move the video window like your computer. The auto-fill feature has always been a part of Google Chrome browser. It auto fills the saved password on the login screen. But now this feature is not limited to the browser only. 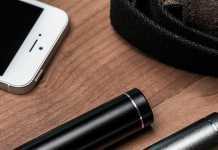 You can now do all these things with all apps. When you open an app for the first time, it’ll auto-fill the required information from the Chrome browser. 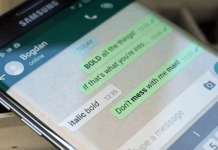 Selecting texts has always been a pain for Android smartphones. But, now the time has been changed. With Android O, Google has introduced a new feature called Smart Text Selection. You can easily select an address or a phone number by double tapping on it. With Android O, Google has allowed the users to change the icon shape to Square, Round corner rect, Squircle, Cylinder, etc. Now the user can access an app’s widget by long pressing on its icon. Options can be given for different formed covers comprise the outside boundary (think squircles) and symbols can be animated. Flexible symbols will be reinforced in the launcher, strategies, Device Configurations, discussing dialogs, and the app summary screen. If you are a Pixel or Nexus owner, then you might have known that, the app icons shows you additional information when you long press on them. But, the Notification Dots bring a new possibility to this feature. A dot on an app icon shows the notifications that you get in that app, as well as shows additional information like widgets, app info, etc. If you are a techy person like me and you have a compatible device, you should try the new Android O on your device. But, keen in mind that, this is not a stable version. However, you don’t need to worry about that. If you don’t like the upgrade, then you can easily rollback to the latest stable version. But, you have to take a complete backup of your phone. Because the reversal process wipes all of your data. Google has made the process simple to download and install Android O Public Beta. Any devices signed up to the program will get OTA updates to the latest Android operating systems where available. Follow the below steps to get it on your phone. 2) You will be asked to log in to your Google account that you are using on your device. 3) Scroll down the page, and you’ll find ‘Eligible devices‘ list. Locate the device you wish to enroll in the beta program and click the green ‘Enroll Device’ button beside it. 4) Tick the box to agree to the terms and conditions and then tap ‘Join Beta’ button. Device enrolled. Your device is now a part of the android beta program! a system update will soon be offered to your device. You can check to see if an update is pending by navigating to Settings > About > System updates. 6) Your device will soon get a System Update notification. Or you can get it in your About section. You just need a speed Internet connection to download the update. After the downloading, your device will automatically install it on your system. That’s it. This was the tutorial on how to download and install Android O public beta on Pixel and Nexus devices as an OTA update. Android 8 has some cool features. If you have a compatible device, then enroll this update now.